What is the purpose of your endeavor? In broad terms we want to bridge the gaping digital divide in the country. Hence our mission is to provide Computer Knowledge and Training with passion and commitment, to deliver Value in the form of Computer trained people, who use this skill for betterment of their lives in every possible way. What model do you follow for achieving your goals? We are not the typical NGO which directly develops and works with various communities. Our strength areas are our skills are in IT, Training and Management. We have adopted a B2B or let us say NGO to NGO approach for the entire endeavor. 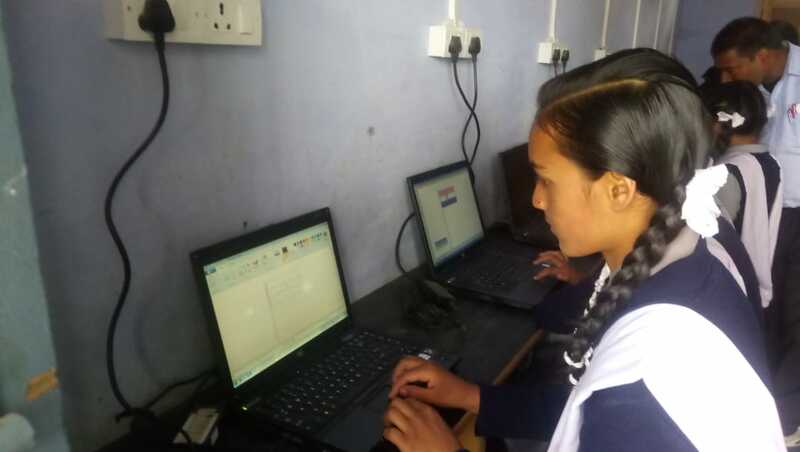 This entails supporting other NGOs whose skills are community development but who lack the ability to provide computer literacy. 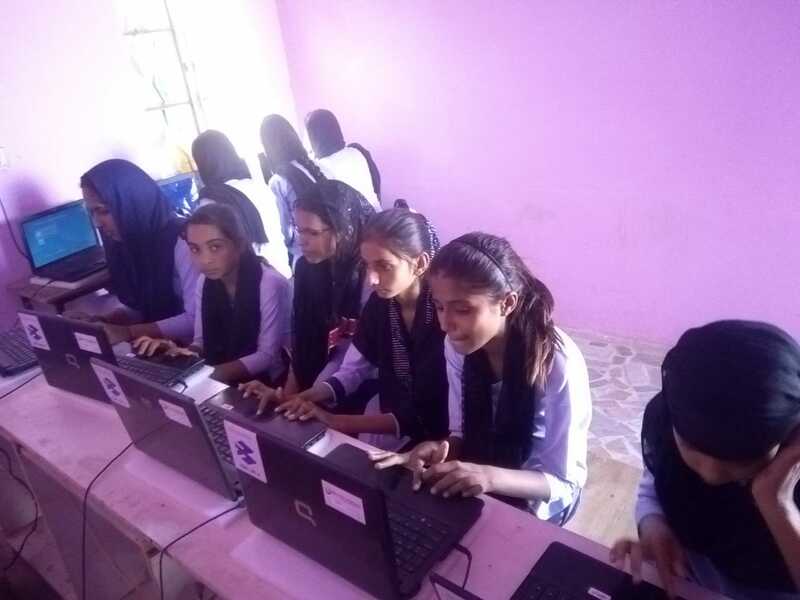 Our partner NGOs have their constituencies but they are not able to provide Computer Literacy Programs. And this is where we add value. Our approach is to identify such NGOs and provide them with our expertise. We enable these NGO/Govt. schools and provide them the full ecosystem so that they can deliver computer education effectively to their children. We provide support in arranging required hardware, offer support for maintenance of this hardware, provide in-house developed Self Learning Videos along with bilingual Trainer’s manuals, offer online monitoring of the live classes through CCTV on Internet, provide assessment services, train the trainers, and award certificates. So whom are you going to train? Who is your target group? We intend targeting all sections of our society who are not computer literate. We started at the bottom of the pyramid in enabling those who have the least hope of getting computer literate in the near future. We began with a community school called Nai Kiran in Ardee City Gurgaon. These children were in the range of 6-14 years. We have now moved on to include older children into the fold too. Now we have students of Grade XI and XII too undergoing lessons. Today i.e. in Nov. 2016, we are providing computer education, by enabling our NGO and Govt. School partners, to more than 2000 children , right from Nursery to XIIth standard through 15 centers in Gurgaon, Delhi and UP. What is your execution methodology? The courseware is designed by expert IT teachers. It consists of 11 modules of 6 weeks each except for Internet module which gets covered in 2 weeks. The basic course gets covered in 32 weeks and advanced course which can be attempted after finishing basic course takes 30 weeks. A student who goes through the basic course, will get a certificate for the basic course and similarly a student who finishes advanced course will get the certificate for Advanced course. As explained above in, the model that we follow, we provide full ecosystem to our partners enabling them to deliver computer education effectively. We take full responsibility for the end to end delivery. We develop Self learning Videos, create Bilingual Trainer’s manuals, train the trainers, help arrange hardware, help maintain the hardware, monitor the classes live using CCTV through internet, asses the students, award certificates, basically provide support to each and every activity in the value chain of delivering computer education. How do you plan to take this forward? Are you going to follow a curriculum by the government? Each Module is typically 9 hours and would take 6 weeks to be covered.Depending on the target population this might mean that IT skilling of a small batch of children spread over various topics should take 15 to 18 months. After this is accomplished the project will be considered over and would be revisited next year to upgrade the class to the next prescribed levels. Here we have to understand that this might not be always true because the children in these schools are migrant population and every few months the entire lot might change in which case we would repeat it with the same school multiple times a year depending on the requirement.The NGO will thus run need based projects at multiple sites. What all have you done till now? What teaching aids are you using? Each child has an independent machine to work on. The Lead instructor is basically the Self Learning Video developed in-house supported by a Computer Shiksha trained trainer. 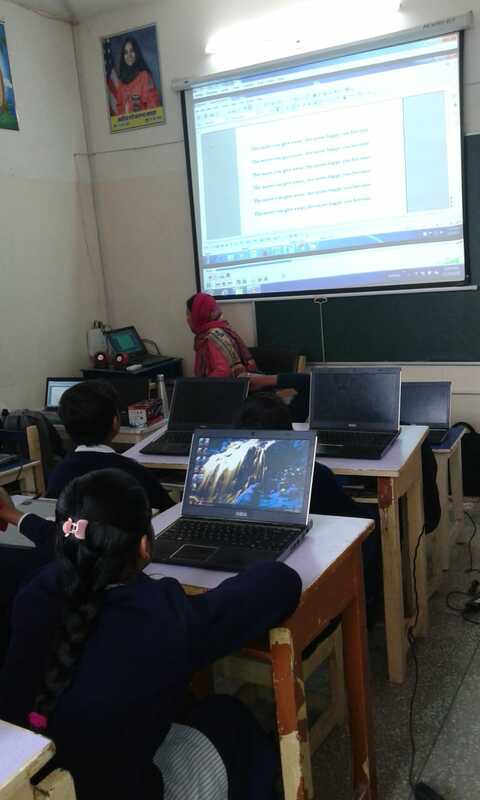 An LCD projector is used to project the trainer’s desktop on a screen to enhance understanding by children. Detailed Instructor manuals have been prepared for each module – these manuals are quite elaborate so that uniformity of instruction is maintained irrespective of variations in instructor competence levels. The manuals constitute of slide packs for the instructor accompanied by detailed instructions on how to conduct the class. Given where we have reached from 60 children in May 2012 to 2000+ in Nov 20163 we are very keen to scale up and reach out to touch more lives. Here is how we plan to do it – In our new model of delivery of computer education, we have shifted from delivering computer education ourselves to being an enabler and provider of full ecosystem to our partner schools so that they can deliver computer education themselves. 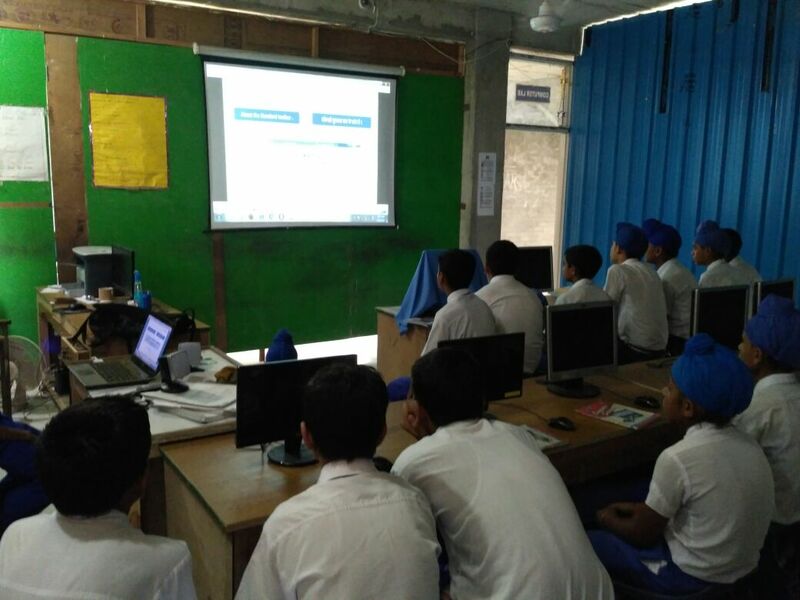 For this purpose, we have developed Self Learning Videos and Bilingual Trainer’s manuals which are sufficient to deliver high quality computer education. 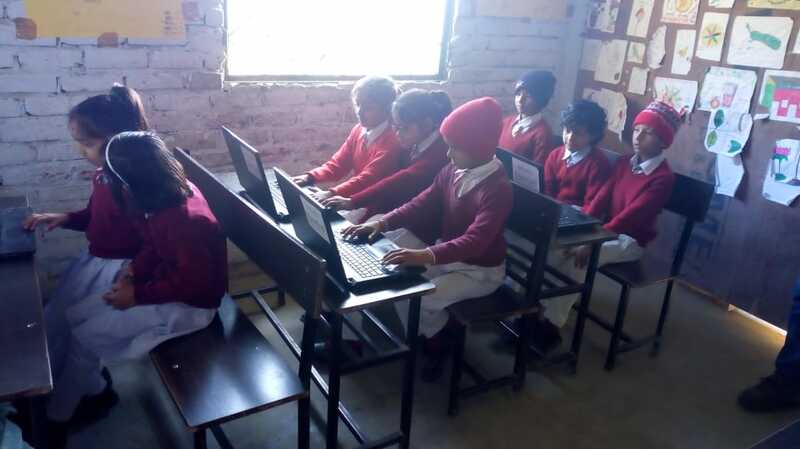 We are tying up with Corporate to donate their 2nd hand hardware to us, which after refurbishing is supplied to the partner schools, and the maintenance is looked after by Computer Shiksha. Computer Shiksha trains the trainers, monitors the live class using CCTV on internet, provides assessment services, and awards certificates. We are however mindful of the challenges as we grow. Getting funds and people committed to the cause continues to be a challenge. There are several individuals / groups of people who have evinced interest in helping us expand in sites as far away as Indore and Kolkata but we are working on our due diligence methodology and checklists before we move in that direction. What are your immediate challenges? Needless to mention the model that we are following needs a lot of investment in IT hardware .Secondly in order to keep the operations as professional as possible we hire trainers on a paid basis to teach children so that commitment to the initiative can be ensured with certain amount of authority For all these expenses we need funds on a regular basis. The second challenge is finding rather locating like minded people who share our passion and can work with us on a sustained basis to help us sustain our initiative. How do you seek to handle them? For funds we will continue to keep our current base of donors engaged to seek regular support from them and also keep working at expanding this base. We also intend to expand our Corporate supporters and access their CSR funds. 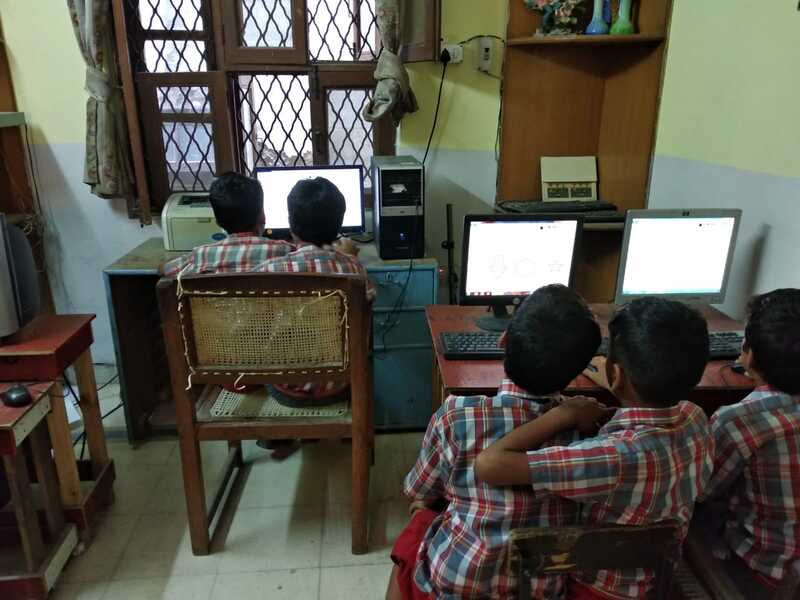 How does our school tie up with Computer Shiksha? 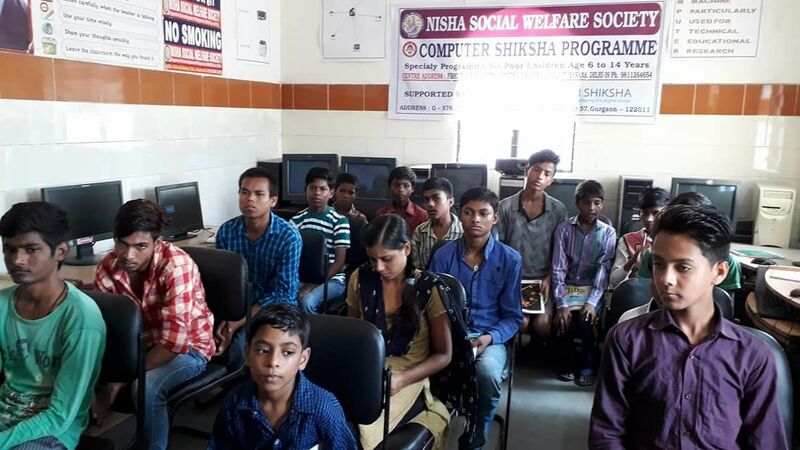 To begin with do sign up for our Friends of Computer Shiksha programme. You can help by contributing any amount to the running of this initiative to cover costs of paid trainers, permanent staff and other expenses. You can volunteer to shortlist schools who can become our partners. You can help us by becoming an active network of fund raisers. This is actually the need of the hour! If what you can do is not there in the list – just reach out to us – we are sure there will be something you could do!